Here's an image for the AdP fans, a Rooney 3/2 3-band Heritage with a nuclear bloom that was loaded up with more AdP than I really needed - that knot when bloomed is about the size of the jar lid - Pure decadence! earcutter and DZEC like this. I just wanted to close this thread by saying that I finished my sample, and each shave was about as good as the first. My new tub is on route from Spain via the Netherlands where tracking says it’s been hold up for the last couple of days. I can’t wait to get it in. My den isn’t going to believe it lol! Maybe more importantly, now that the novelty has dissipated, I can still say that I believe the cost is worth it. Time to get a sample of MdC! Is there a thing? JBHoren and Steve56 like this. With that in mind, let me offer an alternative scenario: You save-up for the matching AdP Colonia ASB and EDT. Pricey? Yup. Worth it? "Booking(dot)YEAH"
PS: The ASB and EDT are, like the SC, are "a little goes a long way" products. Ya gets ya money's worth. earcutter and Steve56 like this. Sir, everything has changed for me. In my humblest of opinions, a 60 dollar soap that lasts a year, and is of great quality, is good value. But I got a lot of stuff to finish first. Last edited by earcutter; 09-01-2018 at 04:09 PM. 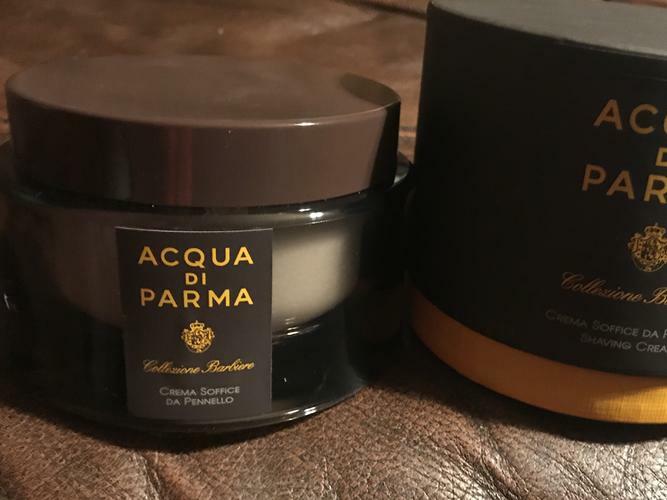 Add Santa Maria Novella cream to that list. One of the slickest soaps there is. Odd scent, mostly eucalyptus and camphor in-shave, but I do get some tobacco toscano afterwards. As they say, put your money where your mouth is. Speedster, Phrank and Steve56 like this. I just finished my first tub and ordered another. I think there are restrictions naming venders but go to Google, put it in and you can get a lot of venders for less then buying direct. This is the Rolls Royce of creams. I haven't found anything better with a straight razor. Holy. Cow. I was not expecting what I got. This might actually be worth the money! I started out using creams. AoS Sandalwood was a mainstay for a while - I’ve been through two tubs. It’s only in the last couple 5 years really that I’ve moved to more soaps than creams, so I have an idea as to what I’m saying. That lather balm was impressive!! Lather: I used as much cream as I normally would had it been my AoS cream. It was two times more than I needed! Wow. I made enough lather for five, maybe six passes. The lather is thick and luxurious. After putting on my first layer, I squeezed out my brush into my bowl and added a little more water to the brush to hydrate the soap on my face a bit more. This stuff just... blossoms. I was a little taken back. Viscosity: I kept feeling the suds on my face to feel for glide and to see how fast it could dry out. There was an awesome, very “glycerin(ie)” glide, even after leaving the soap on my face for a bit of time. You’re going to get close with this soap. Scent: It smells like soap to me! Clean. A beautiful, proud clean. It’s simple and timeless, but if scent and scent alone floats your boat, look away. It really is lovely, but unfortunately, it dissipates quickly. I love the scent. It’s simple but “inspiring.” The lather and glide were exceptional. I think I just gave myself the closest shave I’ve given myself in a while. I was not worried about irritation with this between me and the blade. I eventually put a little bit of pre de provence 63 balm on afterward. It’s the closest thing I have scent wise. My face feels insane. 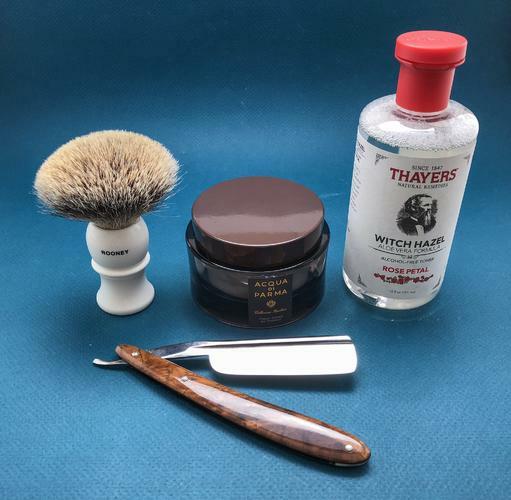 What a great shave! I’m well pleased. But was it worth the money? Was it worth the money indeed? Without a doubt, this stuff does everything marginally better. But four times better? That’s about where I figure it is retail. For me it’s going to be. I want to know what it’s like to shave with this for a couple weeks straight. Then it’ll be a nice treat for when I travel, as I’ll be getting it in the tube vs the glass jar. A bad day at the beach is better than a good day at work! As much as I like AdP, message boards in France are discussing new formulations and packaging. 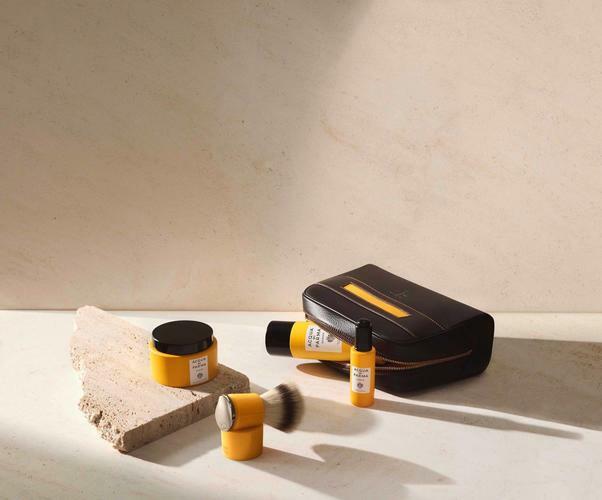 I'd be OK with adding the old scent to their current formulations, although I like the nearly scentless soap as it allows me to use a variety of aftershaves and colognes. I still have a couple of sealed and unopened jars of the old version, although I haven't used them as the current formulation is much better in performance.